Volumetric modulated arc therapy (VMAT) requires higher multi-leaf collimator (MLC) position accuracy compared with conventional radiotherapy to reduce dose delivery error because various small segments are used to create complex dose distributions in VMAT plans. Despite the many reports on the effect of MLC position error on dosimetric quality assurance (DQA), few have addressed the correlation between the minimum segment width (MSW) and the gamma passing rate considering the MLC position error. We analyzed this correlation for VMAT plans using ArcCheck. VMAT plans with three different MSWs (5, 10, and 15 mm) were created for each of the seven prostate cancer cases using Monaco 5.11. With the introduced systematic errors of +1.0, +0.5, 0.0, −0.5, and −1.0 mm in the MLC leaf bank, the dose distributions were measured using ArcCheck. The planned and measured dose distributions were compared using gamma analysis with the Sun Nuclear Corporation (SNC) Patient software. The average passing rates and standard deviations were 73.4% ± 3.8%, 92.9% ± 1.9%, 96.9% ± 1.3%, 90.9% ± 2.9%, and 72.7% ± 6.7% for MLC position errors of −1.0, −0.5, 0.0, +0.5, and +1.0 mm, respectively. The gamma passing rate was linearly correlated with the MSW, as the R2 value was greater than 0.96 for all MLC position errors, except 0.0 mm. The slope increased with increasing the MLC position error in all directions. For an MLC position error of −1.0 mm, the average differences in the gamma passing rates between MSWs of 10 and 15 mm with respect to an MSW of 5 mm were 3.9% ± 4.0% and 7.6% ± 3.3%, respectively, whereas the values were 8.6% ± 6.1% and 12.9% ± 3.3%, respectively, for an MLC position error of +1.0 mm. A correlation between the DQA results considering the MLC leaf bank errors and the MSW of the VMAT plans was established. The use of higher MSWs in VMAT plans was found to be less affected by the MLC position errors. This indicates that the lower the MSW, the more important the DQA before treatment. This study determines the maximum value of MSW corresponding to which the effect of MLC leaf bank error is minimum, thus providing a guidance for the clinical implementation of VMAT. 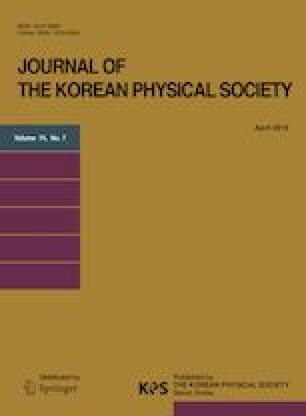 This research was supported by the Dongnam Institute of Radiological & Medical Sciences (DIRAMS) grant funded by the Korea government (MSIT) (No. 50598-2019).